Sony's original e-paper FES watch never made it out of Japan but it clearly got enough attention for the Sony-owned Fashion Entertainment to launch a new edition, the FES Watch U. 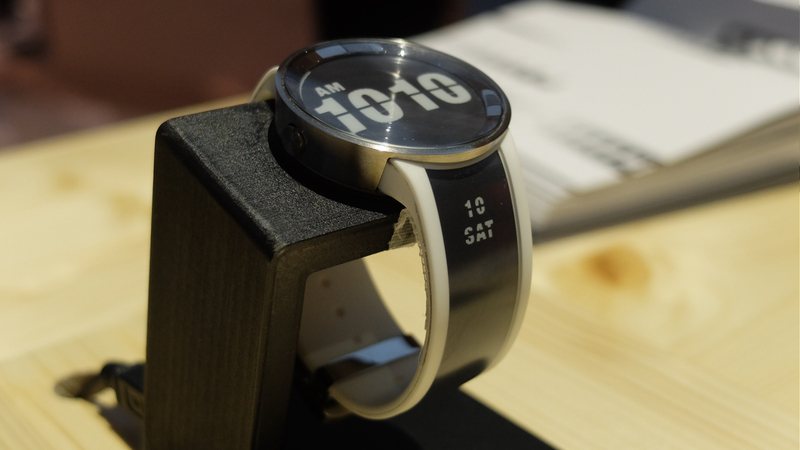 Like the first FES, the Watch U isn't a smartwatch in the traditional sense, it's more like a connected watch and customisable bracelet in that you can change the design of both the watch face and the strap. 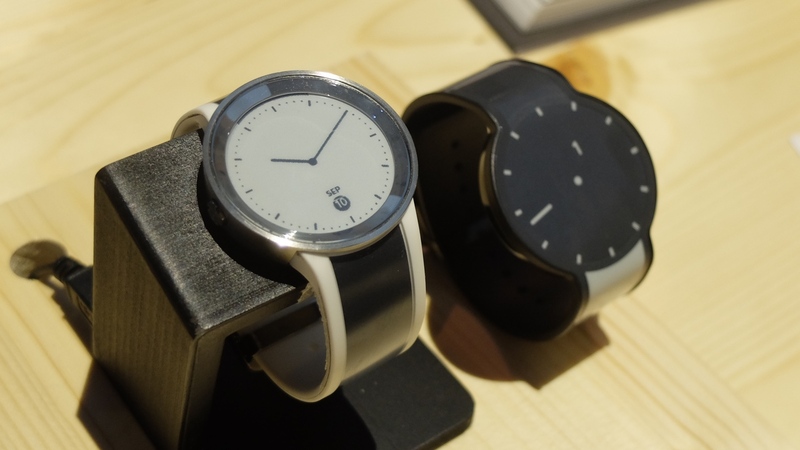 Sony was showing off the FES Watch U at its IFA 2016 booth, alongside the original FES. It's noticeably smaller and much more watch-like than its big, cartoony predecessor with a recessed display and more compact, wrist-friendly design of both the strap and the body. With the new device, there's no extra functionality but there will be more (strictly monochrome) designs to choose from via the smartphone companion app - twelve to start with and more added over time. The app is iPhone-only for now which is ... odd. Android support is "under consideration" and a Sony rep at IFA confirmed that it's coming. The watch will be able to store 24 designs at once so there won't be too much faffing with your phone, you just press the button. 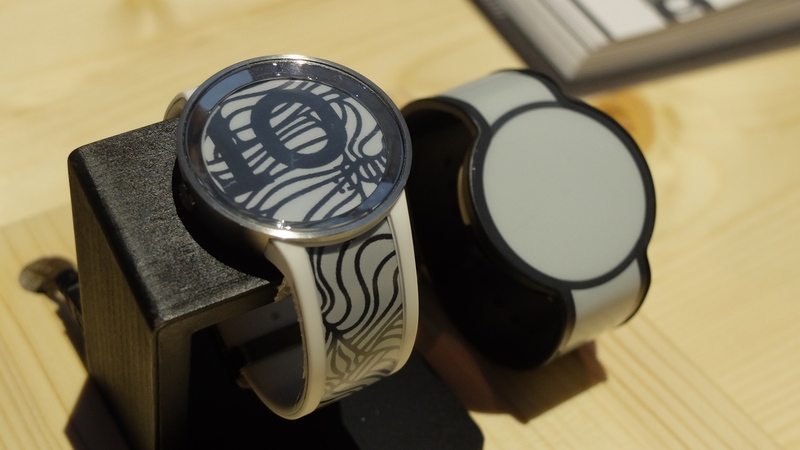 Alongside patterns, some of the images show the strap displaying time and calendar information. Battery life is three weeks, it's waterproof and the FES Watch U comes in both premium black (with a steel watch body and sapphire glass) and cheaper, silver and white versions. 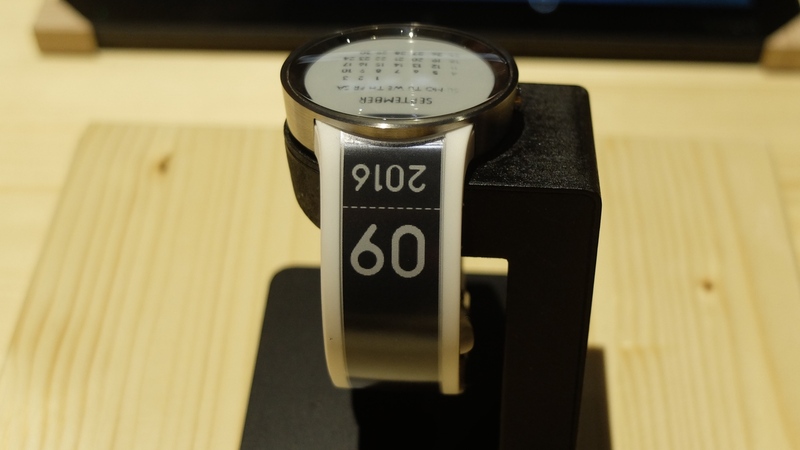 A plea to Sony: the FES Watch U is displaying the time, date and various monochrome patterns with a three week battery life. Make it a teensy bit smarter and the this could be a seriously cool antidote to nerdy-looking wrist gadgets. 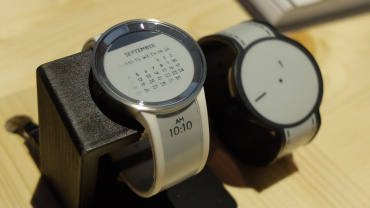 Specifically, add smartphones notifications to watch face and band options overlaid on top of the designs. It seems that it can technically be done without sacrificing battery too much. The Tago Arc smart bracelet, for instance, which can similarly display monochrome patterns draws power via the NFC connection with your smartphone so it never needs charging. And last year's LookSee Labs, which admittedly has gone a bit quiet, is working on an E Ink screen that can also display smartphone notifications, texts, QR codes, maps and even boarding passes. Battery life will be a year on a single charge with one update per hour or more usefully two months with one update per ten minutes. Despite how zanily unique it is and the fancy materials used, the prices do still seem outrageously expensive. The premium black is listed as 59,940 yen (including tax) which is $585 with the cheaper silver and white model as 49,680 yen i.e around $485. The first FES was 29,700 yen or $240. A Sony rep at IFA 2016 confirmed to us that the premium black FES Watch U is around €600 and the silver and white options are around €500. The FES Watch U is on crowdfunding site First Flight until 7 October but, like its predecessor, we're not sure it will go on sale outside Japan, though the first FES did make it to the US. We still haven't seen a new Sony smartwatch since the SmartWatch 3 so perhaps Sony has bigger global plans for this device. 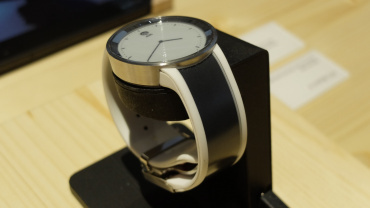 Sony just launched the wearable at the biggest tech expo in Europe so we could see this connected hipster accessory after all.